Picture this: a CEO ends every board meeting with the honest question, "What feedback does anyone have for me?" Every single time, she's met with silence. Can you relate? Feedback is tough. Negative feedback, positive feedback, and requesting feedback can all be treacherous to navigate, no matter your role in an organization. 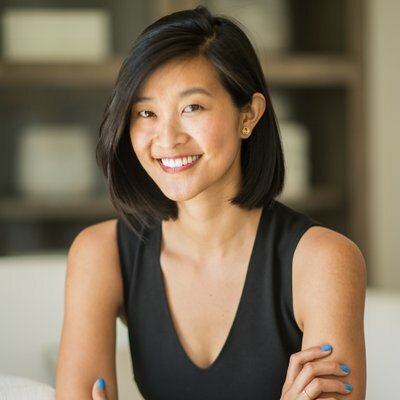 At this month's Small Giants fishbowl, Claire Lew, CEO of Know Your Company, shared her playbook for how effective leaders give and receive feedback. For executives, coaching is scientifically proven to make you a better leader. In fact, leaders who give honest feedback are five times more effective than those who don't. They've also reported a rate of engagement three times higher than those who shy away from feedback. Constructive conversations with employees affirm leadership and increase loyalty. Yet, the majority of leaders and managers avoid giving feedback or feel they aren't doing it well. That's with good reason: giving feedback to employees is uncomfortable. But as Claire's studies show, managers tend to avoid negative feedback even though employees are eager to have these conversations. How do we create an effective loop of giving and receiving feedback to employees? Four tips from Claire Lew's Fishbowl on how to give tough feedback to employees. As a leader, you care about your employees and their success. Make your intentions known! When giving feedback, come from a place of care. Ask yourself, "How do I let this person know I have good intentions?" Frame the conversation by stating that you're giving this feedback because you care about the person's individual growth on the team. State specific intentions, like the fact that you could see them being promoted in the next year, to help them keep an open mind and meet you where you are. Remember: good intentions often defuse defensiveness. When you give difficult feedback, people tend to get defensive. When you come from a place of care - even if the message is hard to hear - you're much more likely to form a partnership with the employee and reach new heights together. Next, determine the noticeable, observable behaviors from this employee that could be changed or improved. We often don’t talk specifics. There is a trained behavior to talk about ourselves, because it is more comfortable. Think of how often we resort to language like, "This made me feel..." or, "When you did this, it made me think..."
Instead, we have the opportunity to shift the conversation from ourselves to a neutral observation. Switch your language to observation-based statements like, "When I saw you did (a certain behavior), it made me feel (a directly related emotion)." Importantly, follow up any observation-based feedback by naming a specific, positive result you'd like to see come from this conversation. What would success have looked like in this situation? What's the opportunity to achieve a better result next time? As an employer, there is an inherent power dynamic to employer-employee conversations. Often, that results in employees taking your feedback much harder than if it came from a peer. If you can approach feedback from a place of fallibility, you'll help employees understand that although you may have a critique, your thoughts are simply an interpretation of a given situation. Your word is not the ultimate truth, and you're here to have a two-way conversation with them. The idea behind fallibility is to increase employee receptiveness to feedback and to open the door to your own growth. Getting real feedback from employees (even when it is bad news!) is a powerful tool, and this is a great opportunity to also ask for feedback about yourself. Let's say someone made a mistake while writing an email to a client. Take this time to ask them if there is anything you could have done to make the email easier to send. Feedback is not an ultimate truth - it is simply an opportunity to share your take and acknowledge their opinion, too. Remember, this is a two-way conversation! If you approach feedback with the attitude of, "You must do this..." and "This is what needs to change..." you're likely to prompt a negative response in employees that will halt growth. Instead, think of it as a dialogue. You're both trying to get to a better place - and in fact, an effective feedback loop between employees and leaders can help build a culture of trust. Constructive feedback is defined by curious questions that prompt meaningful conversation. When you're giving feedback, immediately follow up your comments with a question like, "What do you think?" Ask them if there is anything you've missed. You'll be surprised what employees share - and what you'll learn - when you open the door for an honest, two-way conversation. Are you interested in learning more about giving and receiving constructive feedback? After studying 15,000+ leaders, hundreds of companies, and employees in more than 25 countries, Claire Lew has developed a proven methodology for The Feedback Loop: How to Give & Receive Feedback Well.